Known to share an ‘extraordinary’ relationship with Japan and became one of the closest and strategic partner in the region, Philippines’ Rodrigo Duterte offers aid to disaster – stricken territory. The announcement was made during President Duterte’s presence at the 27th Cabinet meeting that lasted for 9 hours held in Malacañang on Monday, according to Palace Spokesperson Harry Roque. 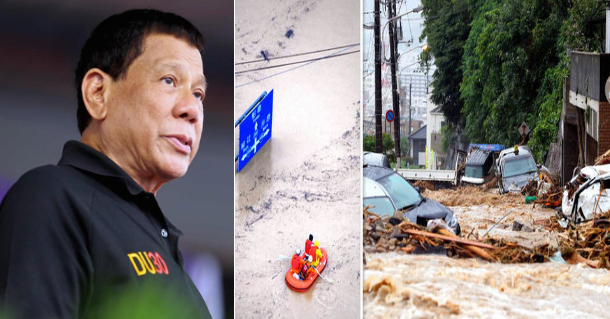 President Duterte offered to deploy soldiers, engineers, and doctors to assist in the rescue and rehabilitation efforts in areas affected by the recent torrential rain where dozens of people were still missing particularly in Central and Western Japan. Roque added that medicines will also be dispatched in the relief operations. 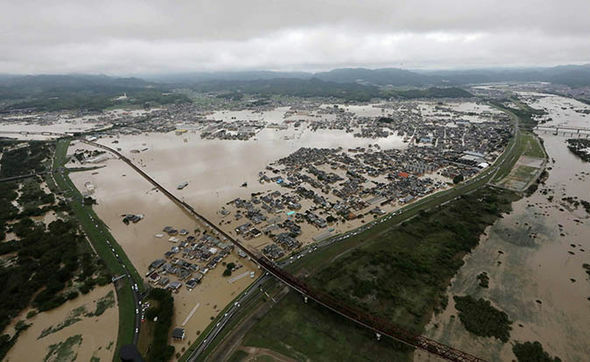 An estimated 120 or more people have already perished since the heavy downpour that began late last week from the remnants of an earlier typhoon prompting Japan’s government to set up an Emergency Management (Crisis) Center at the Prime Minister’s Office with over 70,000 emergency workers including military personnel, police and firefighters already deployed across calamity – struck regions. Japanese authorities fear the number of casualties may increase with more bodies trapped underneath debris of fallen large structures along with 60 others remained missing. Prime Minister Shinzo Abe has already cancelled scheduled trips to Europe and the Middle East to deal with the current predicament the country is currently confronted at.